We've included listings for companies such as Electrolux and Quadra-Fire inside our Gas Fireplaces guide. In business since 1853, J�tul is a leading Norwegian manufacturer of wood and gas stoves and fireplaces, with subsidiaries in the US and Europe. The company's brands include J�tul, Scan, Atra, Ild and Warm. One of the Well Traveled Living brands, Fire Sense designs and makes propane and electric outdoor heaters, patio fireplaces, fire pits and fireplaces. Online sales of hand crafted wood-burning or gas-burning soapstone stoves and fireplaces. A brand of Home and Hearth Technologies, Quadra-Fire makes an extensive line of solid fuel, gas and electric stoves, inserts, fireplaces and heaters. Lines include pellet, corn, biomass and wood stoves. A name synonymous with heavy duty home vacuum cleaners, Electolux also produces refrigerators, freezers, stoves, washers, dishwashers, air conditioners and microwaves. 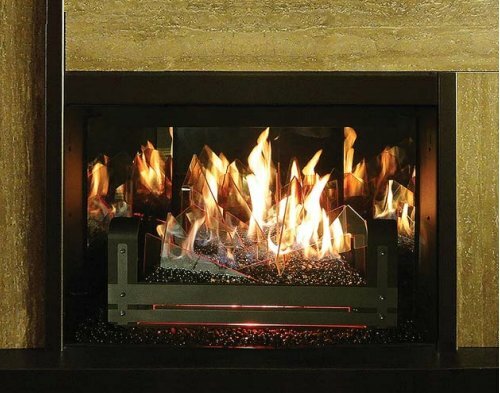 A Finnish company, Tulikivi describes itself as the world's largest maker of heat-retaining fireplaces. 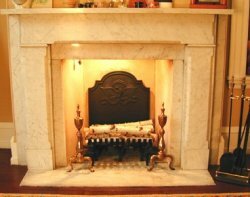 The company is best known for its beautiful soapstone fireplaces and bake ovens. It also offers soapstone sinks, countertops, tiles and flooring. This manufacturer of wood, gas and pellet stoves and inserts sells through a dealer network. Its website offers many photos and extensive descriptions of its products, and has a dealer locator. 4800 Harbour Pointe Blvd. S. W.
This company makes a full line of gas, wood and pellet stoves - plus built-in fireplaces, gas log sets, fireplace inserts and outdoor fireplaces. Based in California, the company is a subsidiary of well-known Lennox International. Website offers detailed info about each of the company's products. After emerging from bankruptcy and an uncertain future in 2008, this well-known manufacturer of wood and gas stoves has new owners, but the same line of wood, gas and coal stoves as in the past.